Truck Stop II, originally uploaded by Michael Mitchener. I had to stop and take a picture of this old snow-dusted truck on my way out of Pikto today. Follow Me Home II, originally uploaded by Michael Mitchener. 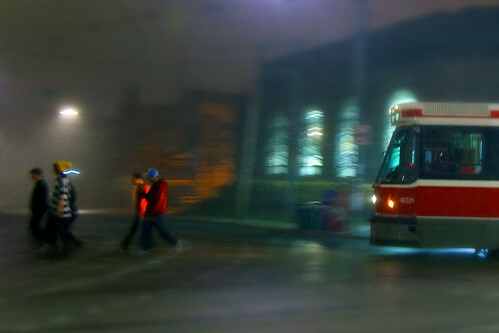 A streetcar finds its way home on a rare foggy night in Hogtown. 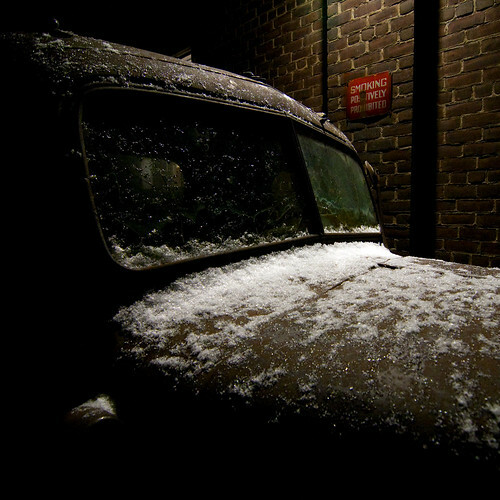 Let It Snow Show, originally uploaded by Michael Mitchener. UPDATE: I'm having an Opening Night on Thursday, December 16th from 7:00 PM to 9:00 PM. Drop by to view the collection, meet, drink and be merry. I have an unexpected show at Voulez-Vous Café this month running from today to December 31st. Unlike past years, I've decided to embrace winter this time around (or at least until January) thus the seasonal theme. Drop by for some warm conversation, hot coffee and weather appropriate photography. As always, thanks to Julie and Sean for being such great hosts. Cheers.